These pesky little intruders can really be a problem in your home, yard and business. We can take care of them for you! 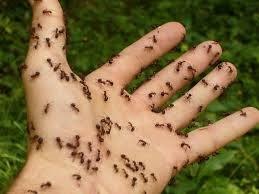 Fire ants get their common name from their ability to inflict painful stings. They were imported from central Brazil in a boatload of agricultural products into Mobile Alabama. From there they have spread throughout the Southern United States. 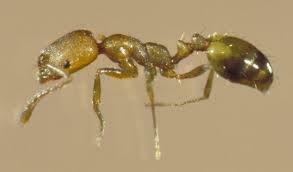 Fire ants are typically ground nesting ants, however they have been known to nest in the wood or masonry of buildings. Fire ants are attracted to electricity. They have been found nesting in air conditioners, junction boxes for traffic signals and outdoor electrical outlets. These ants should be taken seriously because their venom can be hazardous to some individuals. Carpenter ants get their name from their habit of hollowing out wood for nesting purposes. 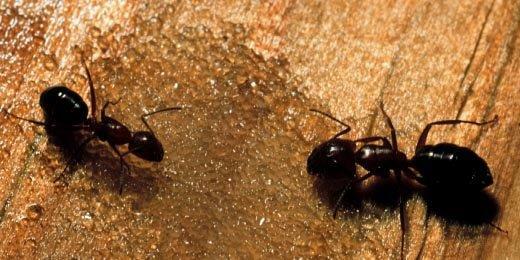 Most carpenter ants establish their nest in decayed wood and later expand into the sound wood. The only external indication of infestation other than the presence of workers is the appearance of small openings on the surface of the wood. Through these holes, the workers expel debris which consists of sawdust – like shavings. The presence of this debris is a good indication of an infestation. Pharaoh ants received their name because they were one of the plagues of Egypt during the time of the Pharaohs. Their colonies tend to be very large, containing several hundred reproductive females. Liquid insecticides are not recommended as it may trigger colony “budding” or the creation of additional colonies as a self defense measure. Nests are usually located in inaccessible areas such as wall voids, behind baseboards, under floors and between linens.